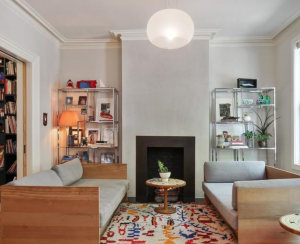 While apartments are supposed to have heat in New York City, what no one tells you is that it’s not always the well-regulated thermostat that you may be used to if you moved here from somewhere like L.A. These old radiators shake, rattle, bang and blast heat in only one temperature. So even though I had thought one of my biggest problems moving here from California would be freezing during the winter, I found that I was wearing my summer skimpiest indoors rather than bundling up. Lucky for us, we had bought screens for all our windows. Not only did it help keep the bugs out during the summer, it also provided my roommate and I with a natural antidote to the blistering manufactured heat that was slowly roasting us alive. It’s worth keeping a few of those portable screens handy all year round, just in case you want to prop open a window and not invite all the neighborhood creatures. Also, it would have been nice to know in advance that these radiators make noise: No one warned us, so we spent a few days wondering whether or not our radiators were going to explode. We did ask the super how to turn the radiators on and off. He told us that the only way to operate New York City radiators was with a wrench (we didn’t know, and he didn’t tell us, that most radiators have knobs) so it was best if we had him turn it on once and just leave it for the whole year. Ultimately, having two heaters at full blast was killing everyone who lived in and visited our apartment. Instead of having summer-themed dinner parties, we finally begged the super to turn off one of our two radiators. We chose the one in the kitchen because since we used the oven, the room was getting hot anyway. Also, we realized that the pipes that supplied heat throughout the apartment building stayed hot within our walls, giving off their own warmth, so it was really unnecessary to have two radiators at all times. It cooled things down quite considerably, and though we had to start wearing a thin sweater indoors, at least we were no longer sweating through our shorts and tank tops like we were in a sauna. Michelle Castillo moved to Manhattan last fall to attend Columbia University's Journalism School. She has covered arts and entertainment for The Los Angeles Times, Billboard.com, Hollywood Reporter, MSNBC.com and EW.com, and she currently writes about geek culture for Time.com's Techland. Rental Rookie is a twice-monthly column chronicling her first year as a renter in NYC. See all Rental Rookie columns here. 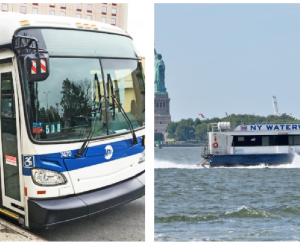 Would you rather live near a ferry or an express bus? 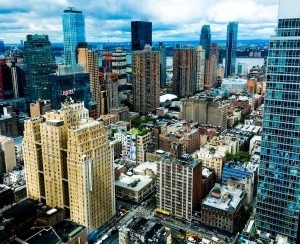 What's the average flip tax in New York City?